Rosie Boom – author, speaker, musician, wife, mother and homeschooler » Why I LOVE Homeschooling! It is seventeen years since I first began the exciting and somewhat scary journey of homeschooling. I have six children, but my two oldest children are both finishing their degrees this year (valuation and music degrees) so I only have four still at home. What a journey it has been! When I first began home schooling Josiah in 1994, I had no idea what joys lay ahead of me. It was a scary decision to make and yet both Chris and I knew that this was what we wanted. Josiah was an active boy and still had an afternoon nap when he was four. As ‘D day’ loomed nearer, I began to look seriously at the local school, and other schooling options. For me, the clincher was that I didn’t want to hand Josiah over to a teacher for the biggest part of his day, only to have him for a few tired ragged hours at the end. I also realized his teacher wouldn’t necessarily share the same values and beliefs that Chris and I want to share with our children. Deuteronomy 6: 5-7 was the mandate I had from the Lord to begin home schooling. Now, much later, as I look back on all the years of homeschooling, the over-riding feeling is one of togetherness as I remember the many happy hours we have spent reading great books in front of the fire; the busy, noisy fun-filled days as the children practiced music, played LEGO, and made tree huts; the bustling activity in the kitchen as they learnt to preserve apples and cook delicious cakes and dinners in our wood burning stove. I will also be for ever thankful for the way homeschooling saved my dyslexic son from the hurtful embarrassment and frustration endured by so many children who struggle with reading. Because I was able to take Samuel at his own pace, and encourage him in his own different areas of gifting, he has never struggled with low self-esteem. When I finally had him assessed, the examiner took me aside and said, “Do you know what the best thing you ever did for your son was?” I had a pretty good idea, but wanted to hear her say it.  “The best thing you ever did for Sam was homeschool him!” Yay! Don’t I know it! Yes, there have been times of frustration (why can’t I teach him to read?? ), worry (am I doing enough?? ), and even despair (I am a dreadful mother). But we have found our way through those times and drawn closer together. I love to watch them all playing Settlers of Catan together, happy in each other’s company, laughing loudly. My teenage daughter is fourteen, going on fourteen. They each have a love for God and want to live lives that please Him. When I look at my youngest, I realize I’ll be home schooling for a number of years yet. But when we all curl up on the sofa in the morning to read a good book together, I don’t ever want it to end. Thank you for the encouragement, as I am struggling to teach five children and a toddler, with at least two and maybe three of the children being dyslexic. 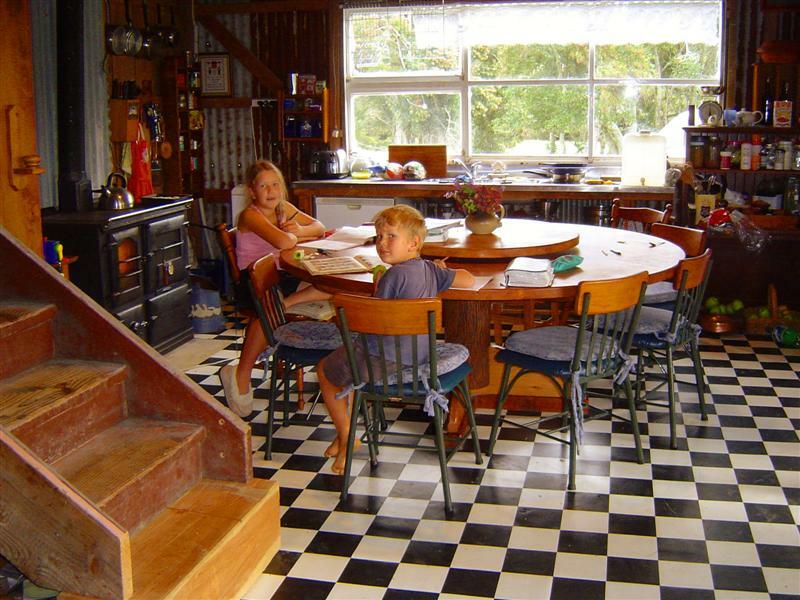 Great to find your website and hear your comments about homeschooling. We are a Kiwi family living overseas but looking to settle on a small farm block in Nthld in a few months! We too have 6 chn and homeschool. Have had your bk “The Happy Prince” for years- love it. Just got sent “Where Loins roar at Night” and have devoured it. Thank you for sharing your heart and your life. Very inspiring. G bl3ss you all. Cathy. Thanks so much Cathy. Hope to meet you once you settle in Northland! Wow, what a blog. Praise the Lord! What a wonderful God we have, when I look at your lovely family and read all you have to say I think… it can’t get any better! What arrows you are sending out into this lost world. I really thank you, we are just starting off on our journey but what an encouragement it is to see your family blessing one another and going on to bless others. Thank you and God bless all of you.